Precious metals futures ended lower in their start to the new trading month on Wednesday. Gold’s loss was its fourth in five sessions. Gold for December delivery declined $6, or 0.5%, to settle at $1,227.60 an ounce on the Comex division of the New York Mercantile Exchange. "Gold needs a break lower in the dollar or stronger inflation data to try and resume a rally, and until then and barring a surprise geopolitical scare, gold will have a hard time rallying," MarketWatch quoted Tyler Richey, co-editor of the Sevens Report. 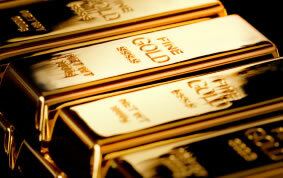 Gold futures ranged from a low of $1,224.40 to a high of $1,233.70. They rose 0.2% on Tuesday — ending the month of July with a 1.7% loss, and edged down 0.1% on Monday. Meanwhile, silver for September dropped 10.7 cents, or 0.7%, to end at $15.452 an ounce. Silver futures traded between $15.39 and $15.56. They climbed 0.1% on Tuesday — registering a 3.9% monthly loss, and rose 0.3% on Monday. October platinum fell $28.60, or 3.4%, to $817.20 an ounce, ranging from $815.60 to $841.70. Palladium for September delivery fell $20, or 2.2%, to $911.90 an ounce, trading between $906 and $930.40. Gold declined $1.95, or 0.2%, to 1,219 an ounce. Silver rose 4.5 cents, or 0.3%, to $15.475 an ounce.